Buying a home is a major decision that will affect your finances for years to come. In addition to saving for a deposit, you must also set aside a portion of your monthly income to pay down your mortgage and to meet your regular household expenses. Is it possible to save money while servicing a mortgage? Did you know that almost one-third owner-occupied households in Australia are currently reeling under mortgage stress? A large number of Australian families are stretching their finances to the limit to service their home loan, making it impossible to save any money for other life goals. Big expenses such as weddings or school fees while servicing a mortgage may feel out of question, especially in the wake of out-of-turn rate hikes by the banks and a flat wage growth! According to Jane, a mortgage broker, it is essential to set fixed saving targets – defining how much money you need and when in order to start saving for a goal consciously. She suggests having separate accounts for each goal – such as a vacation account, a wedding account, or a higher education account – and putting away regular monthly amounts into each account, as soon as you get paid, until your goal is reached. 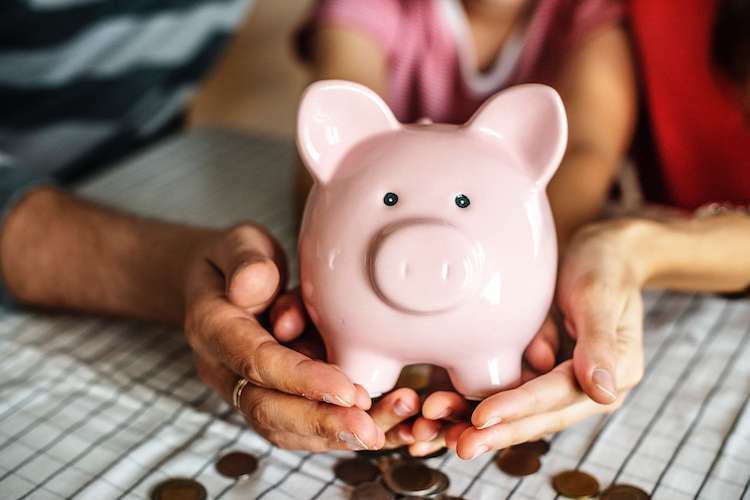 “Of course, you can continue saving in a single account but having designated accounts for each goal could provoke you to think before you draw down anything – helping you avoid wasteful expenditure and keeping your savings intact,” explains Jane. She also recommends every household to draw a good budget to track their expenditure. Following Jamie’s advice will boost your savings, while your budget will help you determine how much you can save each month before setting auto-debit instructions in your account. We also suggest that you review your finances annually so that you can adjust your savings according to your changing income and expenditure. Did you know that Australians are paying $11.6 billion in lazy tax each year by not shopping around for the best deals offered by banks, insurance companies, grocery and utility providers? Being a loyal customer should be rewarding, right? If you think you’re overpaying for your loyalty towards a service provider, it is prudent to research the market and ask for a rate that is comparable to what the others are offering. Alternatively, switch to a better deal with someone else! Several websites let you compare everything from home loan deals to phone plans to insurance quotes to the interest rate on your savings account. By utilising these websites, you can ascertain whether you are on the best deal possible and use the knowledge to negotiate a better rate with your existing provider or switch to another. Other simple strategies to boost your savings include getting rid of memberships and subscriptions that you don’t use, avoiding unnecessary shopping, and preparing meals at home instead of eating out every other day. The easiest way to accelerate your savings is by boosting your income. If you have a hobby – use it to make some additional money on the side. For example, you could run painting or Yoga classes for kids in the neighbourhood. Or, if you have a spare room at home, consider renting it out on Airbnb to make some additional cash. You could also take up a part-time job or ask your boss for a hike if you think you are underpaid or due for a promotion. The easiest way to save money on a mortgage is by getting the right mortgage in the first place. For example, saving with a 100 per cent offset account linked to your mortgage, you can use your savings to offset your loan balance instead of parking your cash in a low interest-rate savings account with taxable returns. Certain lenders may also allow you to set up multiple accounts within your offset account, helping you save for specific goals. Of course, you are free to withdraw the money as you need, but as long as it’s sitting in the account, it will be offset against your outstanding loan. 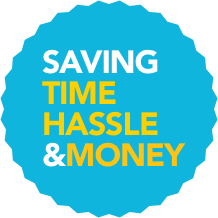 In addition to an offset account, you could choose to make extra repayments on your home loan to pay it down faster. Some lenders also allow you to redraw the additional funds you have pumped into your home loan at no extra cost. Read this list of top 5 features you need in a home loan. You are not alone! Many homebuyers are not sure about the home loan features that are best-suited to their financial condition, which is why it is important to speak to a mortgage broker to understand your options better. A mortgage broker is a financial expert who can help you assess your finances, plan your mortgage, and suggest home loan features that will boost your savings. Besides, a mortgage broker works with several lenders and is familiar with the eligibility criteria of various banks, increasing your chances of approval manifold. At HashChing, we bring you the expertise of a growing network of Australia’s top mortgage brokers. Post your query online to have it resolved by experts, free of cost, or fill up this contact form so that we can put a verified mortgage broker in touch with you.